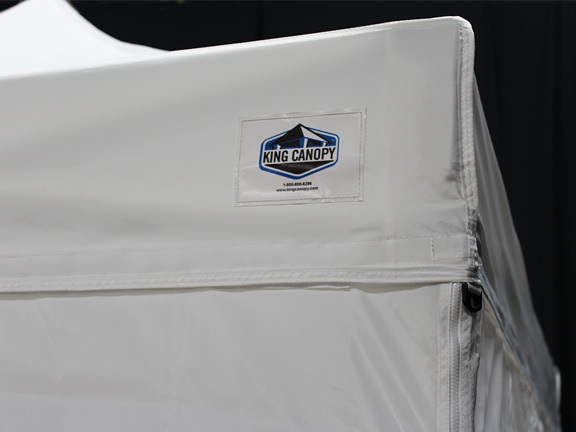 This Tuff Tent Instant Canopy Tent with included sidewalls by King Canopy is perfect for both home and commercial use. 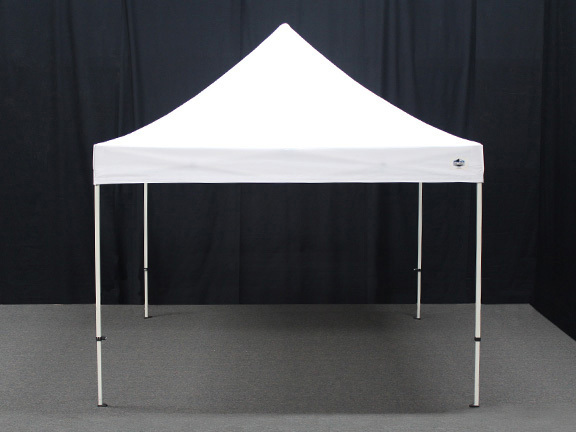 This 10 ft x 10 ft tent features sturdy straight leg design and center truss with an ultra strong powder coated aluminum frame. The frame comes with a simple twist button design for adjusting the height or releasing the fittings and includes the ground stakes and guy ropes. 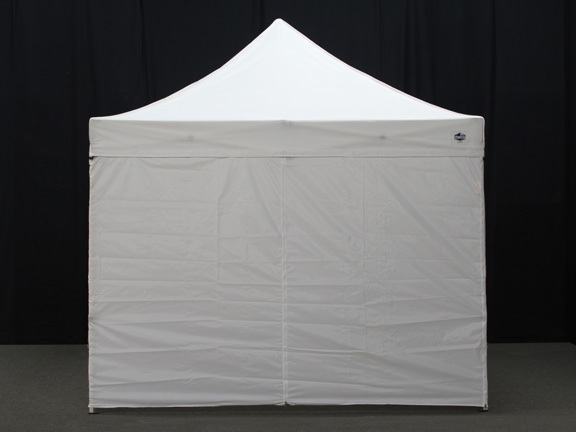 The top is made of fire retardant 500 Denier white polyester and also includes sidewalls with zippered entry. Sidewalls are great for privacy, wind and shade protection or for storage. Can I use a commercial deep fryer or a camp stove in this tent? This item is CPAI-84 Flame Certified and NFPA-701 Flame Certified so with extreme caution it is possible. Can this be installed as a dwelling for 3 seasons? No, it is designed as a temporary shelter only. 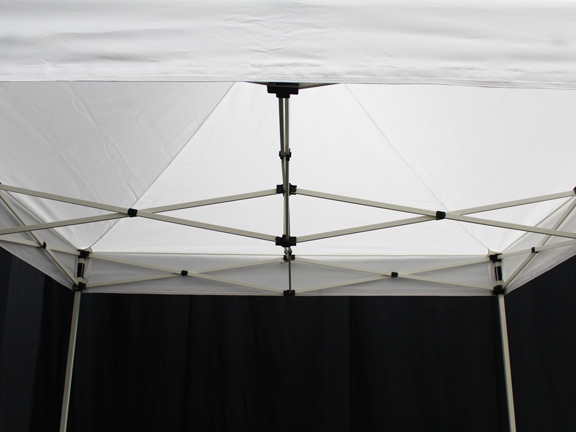 All pop up canopies are designed for shade use only and to be taken down in rain or snow. Thank you for your inquiry. How are the sidewalls attached to the top canopy? Are they solid velcro all the way across or are they velcro straps? Thank you. There is one piece of velcro across per the manufacturer. Are the legs/frame white powder coated? How much does this weigh and does it come with a wheeled bag? Thank you for your inquiry. 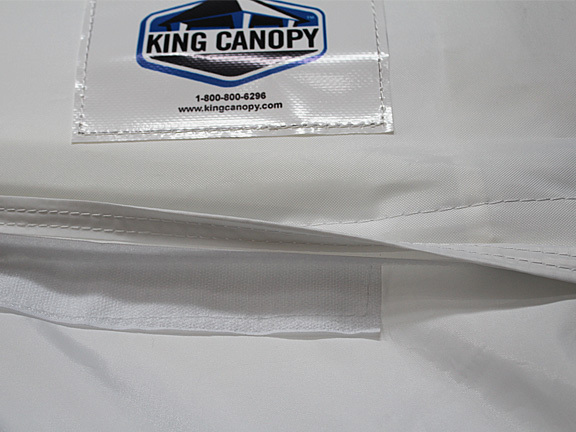 The King Canopy 10 Foot x 10 Foot Tuff Tent Instant Canopy With Sidewalls has a shipping weight of 65 pounds and a rollerbag is not included with this item. 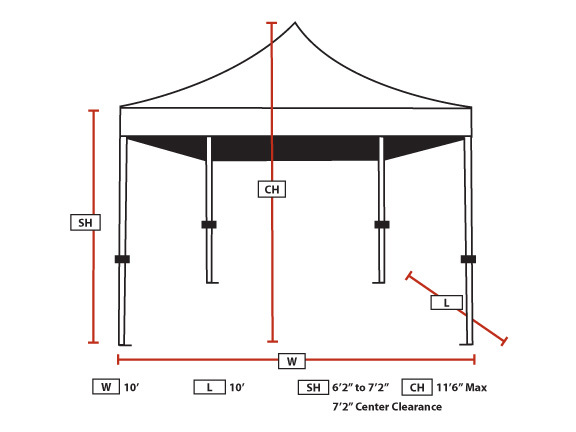 How heavy is this whole King Canopy 10 x 10 foot Tuff Tent instant canopy with sidewalls and roller bag? Can be the top left attached when stored in roller bag? 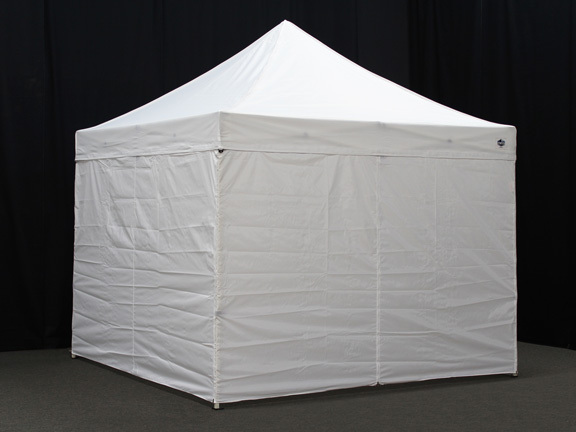 The 10' x 10' White Tuff Tent Instant Pop Up w/ Walls weighs about 59 lb and the roller bag weighs 5 lbs. You can leave the top on when stored, but this may create weak spots along the creasing in top over time. 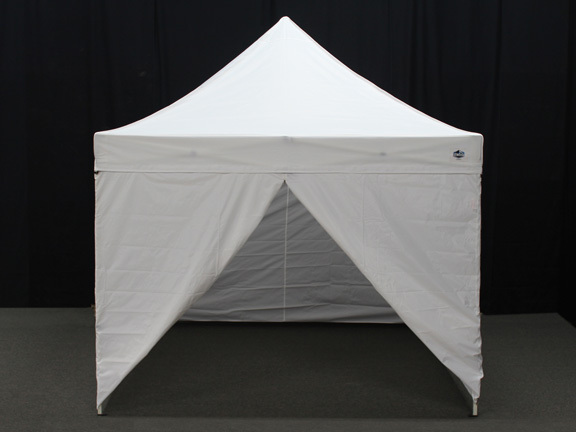 What size does this King Canopy 10 x 10 Tuff tent instant canopy fold up to when it is in its carrying bag? Can one person, easily carry it? When folded, the canopy is 65" x 11" x 10". It can indeed be carried by one person. Is there a NFPA-701 Flame Certified Certificate on the tent? The CPAI-84 is sewn onto the top. Would this tent handle snow fall? No, it is designed as a temporary shelter only. All pop up canopies are designed for shade use only and to be taken down in rain or snow. Can we use this canopy on the beach? Will sand create problems for these legs while extending or retracting? You would just need to make sure sand did not get into the sliding part of the legs. Is this canopy fully enclosed? This can be fully enclosed. 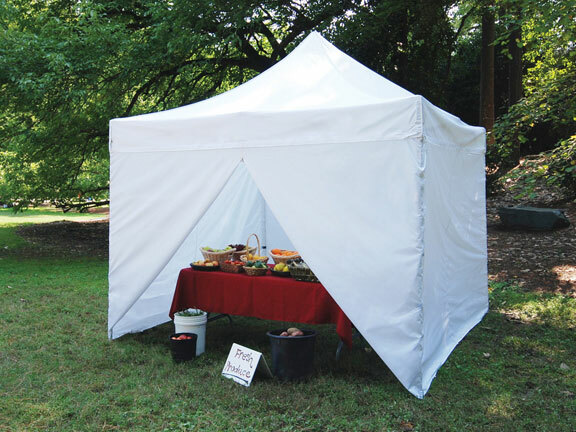 Do you offer this tent without sidewalls? We only carry this model with sidewalls. However, attaching the sidewalls to the tent is completely optional. Easy to assemble. Great carrying bag. of the tent you can have the sides up in 5 minutes.